Microraptor was a very small dinosaur that lived in Northeast China during the Cretaceous period, about 120 million years ago. The initial discovery and naming of Microraptor was somewhat controversial. It was initially described based on a patchwork of unrelated dinosaur fossils that had been attached to each other (a "chimeric" specimen) to produce a forgery, and this forgery had been smuggled from China to the United States. It turned out however that within the forgery were the first fossils of Microraptor (other fossils have subsequently been found). Microraptor has feathers, and is unusual as it has flight feathers on both its arms/hands and on its legs/feet (it also had feathers on its body, and a diamond-shaped group of feathers on its tail). It is not entirely clear how it used these feathers, and scientists have debated whether the animal parachuted from trees or was able to take off from groudn. What is certain, is that in flight it would have used all four wings. We do not currently know whether this is a side branch in the evolution of birds, or whether bird ancestors developed flight through an early four-winged stage (as early as 1915 some paleontologists suggested that birds may have had yet-to-be-discovered four-winged ancestor, which they named "Tetrapteryx"). Asian Dinosaurs - Microraptor lived in Northeast China. Microraptor was a genus of dinosaur. Microraptor was a member of the Saurischia ("lizard-hipped") order of dinosaurs. 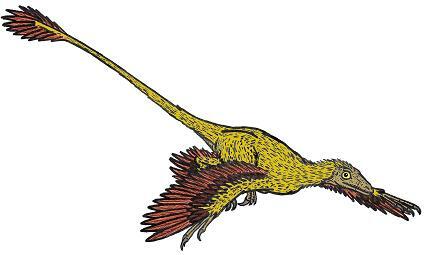 What this means, is that although Microraptor was not closely related to lizards, it did have similarly shaped pelvic bones. Microraptor was a Theropod - a member of a group of related bipedal dinosaurs that included the ancestors of birds (although Microraptor was not itself an ancestor of birds). Microraptor lived about 120 million years ago, during the Cretaceous period. Microraptor lived in Northeast China. Microraptor was a carnivore (meat-eater). Microraptor was about 1½ to 2¾ feet (46 to 84 centimeters) long. Microraptor weighed up to 2¼ pounds (1 kilogram). It was a very special day for Neffy the Microraptor—she would be taking her first flight. But when Neffy spread her wings she didn't know what she was supposed to do! Will she learn in time to join her sisters and escape the predators on the ground? In this informative and fact-based story, Joe Lillington takes the reader back to the time of dinosaurs as we follow young Neffy in her first attempt at flying. Along the way, she meets other friendly dinosaurs (and some not so friendly ones), all illustrated in Lillington's beautiful style full of character. 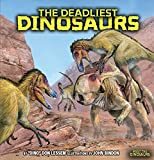 "Dino" Don Lessem brings readers face-to-face with various dinosaur species, detailing their habitats, way of life and how they became extinct. An acclaimed dinosaur expert, Don Lessem has written more than 30 children's books, writes a popular dinosaur column in Highlights magazine, and was an adviser for Jurassic Park. Take a trip through dinosaur time to meet these deadly dinosaurs face-to-face: The Variraptor had pointy teeth with grooves like steak knives to saw through meat! The Draeomaeosaurus was the first raptor ever discovered. It had a very large brain! The Microraptor was no larger than a crow and is the closet known relative to birds! Plus, you'll get to know Utahraptor, Deinonychus, Megaraptor, Pytoraptor, and Velociraptor. "Dino" Don Lessem brings readers face-to-face with various dinosaur species, detailing their habitats, way of life and how they became extinct. An acclaimed dinosaur expert, Don Lessem has written more than 30 children's books, writes a popular dinosaur column in Highlights magazine, and was an adviser for Jurassic Park. Take a trip through dinosaur time to meet these smart dinosaurs face-to-face: Troodon were the smartest dinosaurs! They would dig their prey (small rodents) out of the ground and could predict the movements of bugs! Giganotosaurus can recognize many dinosaurs from very far away by their smell! The Deinonychus worked together to sneak up on and surround their prey! Plus, you'll get to know Gallimimus, Laellynasaura, Microraptor, and Tyrannosaurus Rex! Although consensus exists among researchers that birds evolved from coelurosaurian theropods, paleontologists still debate the identification of the group of coelurosaurians that most closely approaches the common ancestor of birds. The last 20 years witnessed the discovery of a wide array of avian-like theropods that has considerably amplified the anatomical disparity among deinonychosaurians, some of which resemble Archaeopteryx more than Deinonychus. Among these newly discovered theropods that show remarkable bird-like characteristics are the four-winged theropods Microraptor and Anchiornis, and the unenlagiids Unenlagia, Buitreraptor, and Rahonavis. A bizarre group of minute-sized coelurosaurs, the Scansoriopterygidae, also exhibits some avian similarities that lead some authors to interpret them as more closely related to birds than other dinosaurs. With the aim to explore the phylogenetic relationships of these coelurosaurians and birds, we merged recently published integrative databases, resulting in significant changes in the topological distribution of taxa within Paraves. We present evidence that Dromaeosauridae, Microraptoria, Unenlagiidae, and Anchiornis + Xiaotingia form successive sister taxa of Aves, and that the Scansoriopterygidae are basal coelurosaurians not closely related to birds. The implications in the evolutionary sequence of anatomical characters leading to birds, including the origin of flight, are also considered in light of this new phylogenetic hypothesis. 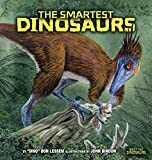 Historical photographs and bright paintings bring to life raptors, the least known member of the dinosaur family, for young readers while a factual text discusses and describes these carnivorous creatures, their habits, and recent advances in dinosaur paleontology. In this revolutionary 100k word book with 70 illustrations, John Jackson (artificial intelligence researcher, biological psychologist, and information scientist), brings long-overdue modern insights to a field he found stuck in the 1960’s. He clarifies the evolution of those feathered, fanged and strangely unfathomable stars of evolution, and provides a sorely-needed 14-point definition of science. Landmarks in bird evolution are detailed, including a friendly, cogent, but fairly thorough explanation of the bizarre intricacies and evolution of bird breathing; new analysis and elucidation of the four-winged flying style of microraptors; an overdue decent experimental scientific analysis of the use of Velociraptor’s predatory foot claw (it WAS deadly after all); untying of the Gordian knot of the family tree of troodonts, dromaeosaurs, primitive birds... and feathers; a survey of current knowledge of bird families along with thoughts on their extinction and survival patterns; details of how to write cladogram (family tree) generating programs, along with some important new guidelines for that discipline; a guide to major currents in dinobird palaeontology over the last twenty years... and finally the strange revelations resulting from using 21st century philosophy of science on human and dog evolution. Revealing the story of dinobird evolution requires competence in a variety of fields, yet most palaeontologists start work with only a geology degree. Wouldn’t a biological degree help when studying animals? (A bit, but it’s not enough.) And is the palaeontologists’ understanding of their computer program for discovering family relationships spoiled by their surprising lack of qualifications in statistical algorithms? Are they right to insist evolution always took the straightest possible line, or is that view due to incompetence in that field – not to mention others such as the philosophy of science? Is their failure to quote the jargon, essential concepts, and even key workers in the core disciplines underlying palaeontology, reason to doubt their judgement, or does a geology degree genuinely grant such superior insight into these other fields that specialists in them can be ignored? For years, palaeontologists have shunned outside experts, claiming that they alone, through organising excavations, running museums and relying on a 50-year-old computerised algorithm, are the best interpreters of biological evolution. Journalists have pandered to the palaeontologists: the BBC has persistently ignored revolutions in three major branches of vertebrate palaeontology, never having mentioned Aaron Filler, Janice Koler-Matznick, or the theories or name of Greg Paul, the most exciting and insightful dinobird scientist for over 20 years, and peerless dinobird draughtsman. Jackson defends and builds on Paul’s work including art commissioned from him, and shows how part of Paul’s theory fits with part of an earlier one, long wrongly abused but here vindicated. 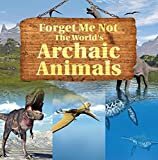 The author’s broad background in disciplines where getting your theories right matters, and his independence, allow the book to tidy old muddles, put palaeontology back on its feet, and point out genuine solutions to riddles of the evolution of humans, dogs, and of course dinobirds. 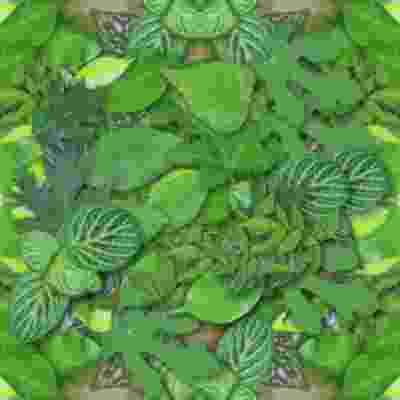 There are animals that no longer live but have contributed greatly to the evolution of the world. It is not right to just forget about them. That is why this picture book is dedicated to some of the world's archaic animals. It's going to be blast to the past so get a copy of this book now! New specimens of Microraptor zhaoianus (Theropoda: Dromaeosauridae) from northeastern China, 2002, American Museum Novitates, Number 3381 : 44 pages with 31 figure and 2 tables.